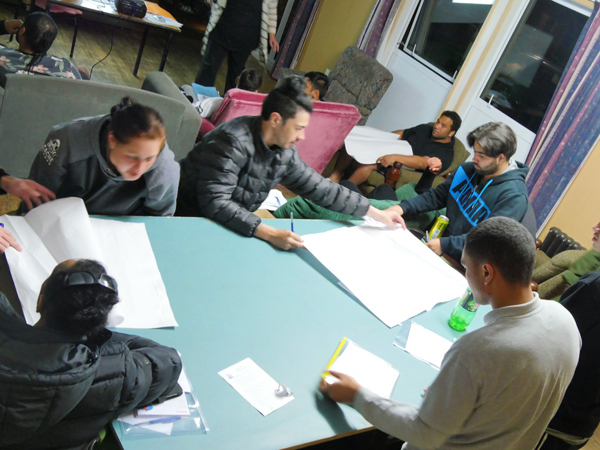 Each year over 100 people, most of whom are Máori or Pasifika, come to a residential school in Westport to get national qualifications that will set them up for a career in fishing. Cadets at the school fall into two categories. Firstly there are courses for young people (16-18 years) who are there to do a L2 National Certificate in Seafood Processing and At Sea Processing and a L3 certificate in Domestic Vessel Crewing. These two courses together take 26 weeks. Then there is a L2 course for adults in Seafood Processing, which runs for 13 weeks. Last year 110 trainees went through these programmes and 90 percent went straight into employment. Once they are on a vessel they start on about $50,000 a year, working for two trips at sea taking about 3 months, then home for 6 weeks on full pay. Around 30 percent of the cadets are women. The fishing industry is an EEO employer. The Westport Deep Sea Fishing School is the PTE that provides the training. They take students on a continuing basis throughout the year. 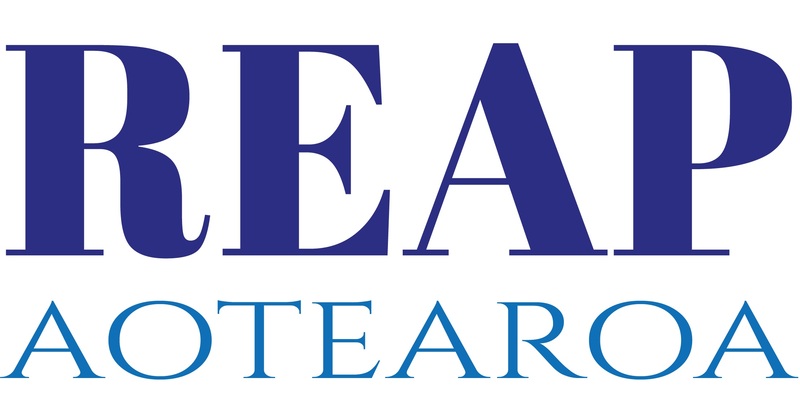 The programme is free to students who meet funding criteria for the Youth Guarantee Programme and the Ministry for Social Development funding for mature students, as well as Te Ohu Kaimoana – the Máori Fisheries Trust. “We have been working alongside the Westport Deep Sea Fishing School since 2014 when it was identified that some of their cadets arriving in Westport were registered with Ministry of Social Development Youth Payment Contract. That’s for unsupported young people aged between 16-18 years. Buller REAP administers this scheme locally. These cadets have to meet some minimum requirements to receive their benefits, one of which is to participate in a budgeting or financial literacy programme. we decided to make this part of a regular learning opportunity for all the cadets at the school, and run the programme around four times a year. Many of these cadets are coming from a background of benefit dependency and as they are looking at earning $50,000 plus a year, they really need to be able to set goals, understand debt and manage their own money. “We use the Commission for Financial Capability’s Sorted programme. I’ve been using the programme locally since 2013, as the demand at the time for financial education was growing with limited local resources to deliver it. I have now been approved as a facilitator. We don’t advertise the course because most people don’t want to admit that they need it. Instead we work in partnership with organisations like the local polytechnic, the Fishing School, or local employers and social service providers. I run the programme as a 10 hour course, with homework after each session. It has been revamped over the last two years and the Commission now has a lot of new booklets. “In 2015, it was also identified that these cadets required an up to date cv to apply for their jobs on the fishing boats, so any without a current cv began attending our half-day workshop. We also helped them understand different types of employment agreements and taxation. Peter Maich the Director really values the fact that the cadets have somewhere else to go, outside of the school. “Some are just homesick,” he says, “and it is good to have someone else to listen to them.” The school and REAP have a formal MoU. Both Peter and Rachel are in weekly contact by email and have 3-4 formal meetings each year – all to make sure that all the learning and welfare needs of the cadets are met. They could, says Peter, take up to 200 cadets a year, such is the demand. Because the school doesn’t tolerate drugs or alcohol, and there are some strict health requirements (which might not have been disclosed on entry) there is a failure rate of around 25 percent. About 10 percent of cadets will go on to get higher qualifications at the school. Peter regularly observes the value of a career in deep sea fishing for people who live in remote communities like Ruatoria or Te Kaha, where employment opportunities are limited. With 3 months on and 6 weeks off on full pay back home, people don’t have to leave their own communities. And, just as a postscript, last year there was a big gain for a Westport Primary School in having young Máori living in the Westport community who were skilled in tikanga and speakers of te reo. It was as a result of a chat between Rachel and some of the cadets that the idea came about. Rachel’s son attended the Westport South Primary School and they were having big problems getting their kapa haka up to scratch. Several of the cadet’s leapt at the chance to help and so another partnership was formed. It was a huge success. Last year several of the cadets went to the school each week to help: Rachel dropped them off and drove them back to their hostel, and Ruben Edwards and Levi Pugh wrote a haka Ko Wai Matou? Who are we? It is all about the right values and attitudes and filling the basket of knowledge. The kapa haka group then went on to win second place in the regional competition.